Electric motors power everything from household appliances to the starters in our cars, but the basic formula for building them is very simple. It centers around the notion of magnets pushing and pulling against each other, and the way in which that energy is transformed into electrical power. 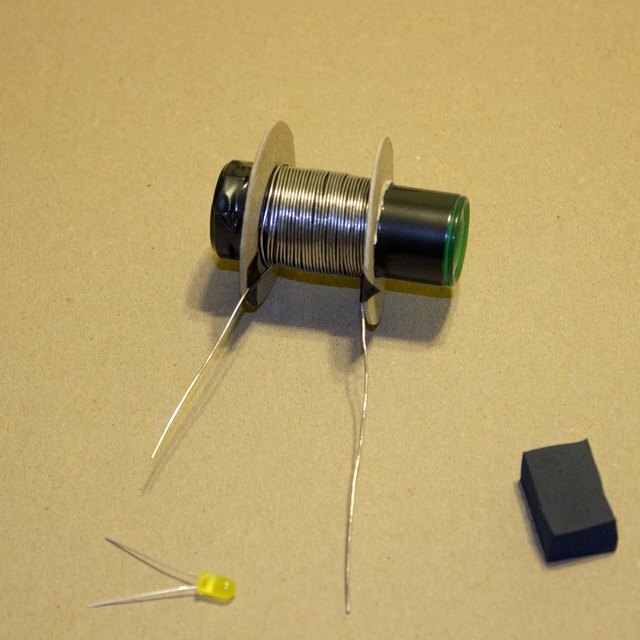 A simple electrical motor can be built from basic materials. Wrap a length of enamel wire tightly around a thick pen, forming a circle. Leave about two inches of free wire on either end. Slide the wire off of the pen and wrap the free ends once or twice around the circle to hold it in place. There should still be a little bit of free wire at either end. Sand the enamel off of one of the free ends of the wire using a piece of sandpaper. Then carefully lay the other free end flat on a tabletop and sand away the top half of the enamel. The bottom half should still be intact. Straighten out a pair of paper clips, and then bend the ends to form a hook. Strap the paper clips to either end of a D-cell battery with a rubber band. Make sure they are held tightly to the battery and will not wiggle or move. Place a small magnet on one side of the battery. Balance the wire coil between the hooks using the two wire ends. Give the wire coil a spin. It should continue spinning, generating electricity. The electrical energy courses through the battery, up the paper clips, and into the coil, which transforms the coil into an electromagnet. It's then repelled by the other magnet, which keeps the coil turning. The connection is broken by the remaining enamel on one end of the wire, and then connected again when the bare part comes back into contact with the paper clip. The results keep the coil spinning and generate electricity. You can substitute any sort of tube-shape object for the felt pen. Used tubes from paper towels and toilet paper work just as well. If the motor doesn't work right away, try shifting the position of the magnet on the battery until it does. Vaux, Robert. "How to Build an Electric Motor From Scratch." Sciencing, https://sciencing.com/build-electric-motor-scratch-4603480.html. 24 April 2017.